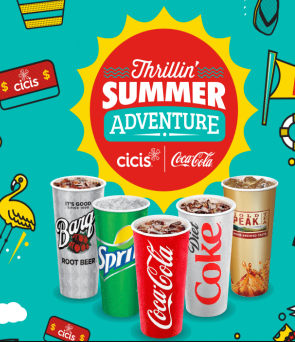 Coca-Cola Thrillin’ Summer Adventure Sweepstakes & IWG – Win a trip for 4 to Universal Studios Florida! Win a trip for 4 to Universal Studios Florida! ENTER SWEEPSTAKES HERE – Coca-Cola Sweepstakes page. ENTRY LIMIT – Limit: 1 Sweepstakes entry and 1 Instant Win Game play per person per day during the Promotion Period. ELIGIBILITY – Thrillin’ Summer Adventure (the “Promotion”) is open only to legal residents of the 48 contiguous U.S. (or D.C.) who are 18 years of age or older at the time of entry. 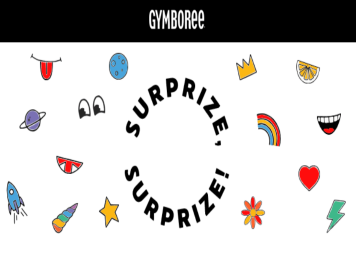 SWEEPSTAKES ENTRY PERIOD – The Promotion begins at 12:00 a.m. Eastern Time (“ET”), July 1, 2018 and ends at 11:59 p.m. ET, August 11, 2018. PRIZES – 1 GRAND PRIZE: A trip for 4 to Universal Studios, including 5 day passes; 4 nights’ accommodations at a hotel determined by Sponsor in its sole discretion (single room, double occupancy); 4 vouchers that may be used toward air transportation, terms and conditions apply; and $500 that may be used for spending money, terms and conditions apply. Approximate Retail Value (“ARV”) up to: $6,440. 25 FIRST PRIZES: A set of 4 Six Flags tickets, terms and conditions apply. ARV: $180. 100 SECOND PRIZES: A pair of movie tickets, all details determined by Sponsor, in its sole discretion. T & Cs apply. ARV: $30. 300 THIRD PRIZES: A Cici’s t-shirt, size, style, and all details determined by Sponsor, in its sole discretion. ARV: $12. WINNER’S LIST – For a list of major prize winners, visit http://bit.ly/2JimOuy. The winner list will be posted after winner confirmation is complete. 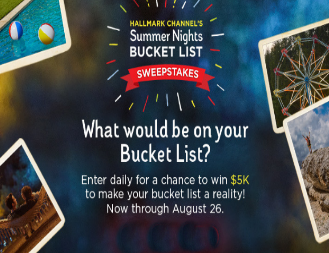 Hallmark Channel® Summer Nights Bucket List Sweepstakes – Win $5,000! ENTRY LIMIT – Entrants may enter in this manner once per day throughout the Sweepstakes Entry Period, regardless if the entrant has more than one email address. 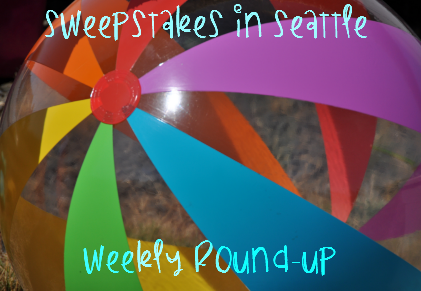 SWEEPSTAKES ENTRY PERIOD – The Hallmark Channel® Summer Nights Bucket List Sweepstakes begins at 9:00:00 AM Pacific Time (“PT”) on Friday, July 27, 2018 and ends at 8:59:59 PM PT on Sunday, August 26, 2018. 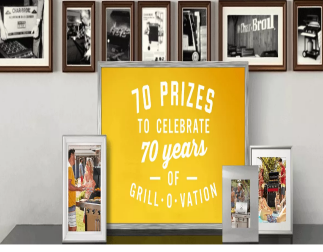 PRIZES – One (1) Grand Prize is available to be won. Grand Prize is one (1) $5,000 check that will be awarded in the name of the confirmed winner. WINNER’S LIST – For a written confirmation of the winner (available after 08/27/18), send a stamped, self-addressed envelope (no later than 09/24/18) (postage not required for VT residents), to: Hallmark Channel® Summer Nights Bucket List Sweepstakes, Winner Confirmation Request, PO Box 25466, Rochester, NY 14625-0466. Buddy Fruits Crayola Essentials 2018 Back to School Sweepstakes – Win $2,000! ELIGIBILITY – The Sweepstakes is open only to legal residents of the United States, 18 years of age or older as of the date of entry. 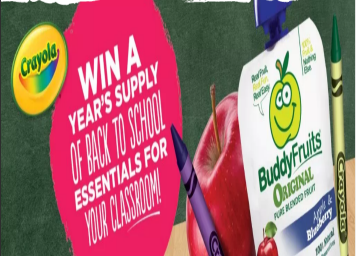 SWEEPSTAKES ENTRY PERIOD – The Buddy Fruits Crayola Essentials 2018 Back to School Sweepstakes begins at 12:00 a.m. Eastern Time (“ET”) on July 1, 2018 and ends at 11:59 p.m. ET on October 31, 2018. PRIZES – Grand Prize (1): A One (1) Year supply of school essentials, awarded in the form of a $2,000 check. WINNER’S LIST – The name of the winner will be posted for thirty days at http://www.buddyfruits.com/color on or about December 1, 2018. Zebra Pens Find Zen During Back to School Sweepstakes – Win a Zebra backpack with with school supplies! 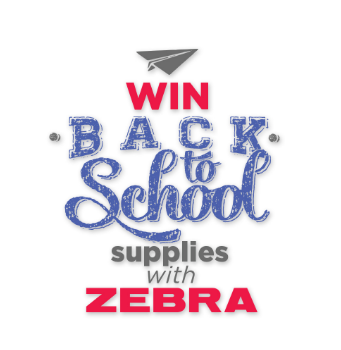 Win a Zebra backpack filled with back to school supplies (9 winners)! ENTER SWEEPSTAKES HERE – Zebra Pens Sweepstakes page. ELIGIBILITY – The Zebra Pen Sweepstakes is only open to legal residents of the fifty (50) United States and the District of Columbia, who are 13 years of age or older at the time of entry. SWEEPSTAKES ENTRY PERIOD – Sweepstakes begins at 9:00:00 am Eastern Time (“ET”) on July 1, 2018 and ends at 4:00:00 pm ET on August 31, 2018. 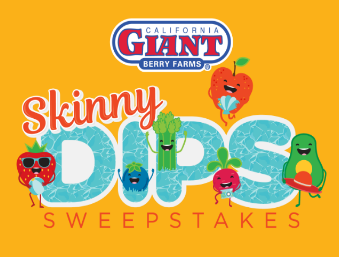 California Giant Berry Farms Skinny Dips Sweepstakes – Win a Yeti Roadie 20 Cooler & more! Win a Yeti Roadie 20 cooler & more (4 winners)! ENTER SWEEPSTAKES HERE – California Giant Berry Farms Sweepstakes page. ELIGIBILITY – The Promotion is open only to legal residents of the fifty (50) United States, the District of Columbia and Canada (excluding Puerto Rico, all other US territories and Quebec) who are eighteen (18) years of age or older at the time of entry. SWEEPSTAKES ENTRY PERIOD – Skinny Dips Sweepstakes commences at 12:00:01 AM Eastern Time (“ET”) on May 23, 2018 and ends at 11:59:59 PM ET on July 31, 2018. PRIZES – There are a total of four (4) Grand Prizes available to be won in the Promotion. 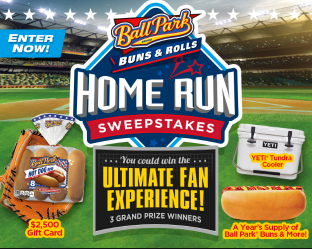 Each Grand Prize includes the following: One (1) Yeti Roadie 20 Cooler, One (1) Giant Swan Float, Four (4) Produce Pool Floats, One (1) Fruit and Veggie Dip Tray, Four (4) Tervis 24 Ounce Tumbers, and Twenty (20) Coupons from Partners. There are a total of four (4) secondary prizes available. Each secondary prize will include One (1) $100 Visa eGift Card. The approximate retail value (“ARV”) of each grand prize is up to $1,000 USD. The approximate retail value (“ARV”) of each secondary prize is $100 USD. The total ARV of ALL Prizes available to be won in this Promotion is $4,500 USD. Winner’s List will be available after August 15, 2018. 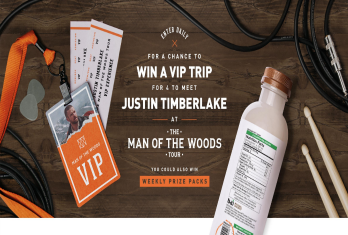 Bai “Justin Timberlake Concert Getaway” Sweepstakes – Win a trip to Memphis & more! Win a trip to Memphis, Tennessee to attend the Justin Timberlake concert on January 12, 2019! ENTER SWEEPSTAKES HERE – Bai Sweepstakes page. Go here for a UPC code to enter. ENTRY LIMIT – Limit one (1) entry per person/email account per day during the Promotion Period. ELIGIBILITY – To enter you must be a U.S. legal resident of one (1) of the fifty United States or the District of Columbia and at least 18 (19 in Alabama and Nebraska) years of age or older at the time of participation. You must be 21 years of age or older at the time of participation in order to be eligible for the Grand Prize. SWEEPSTAKES ENTRY PERIOD – Sweepstakes begins June 1, 2018 and ends September 30, 2018.